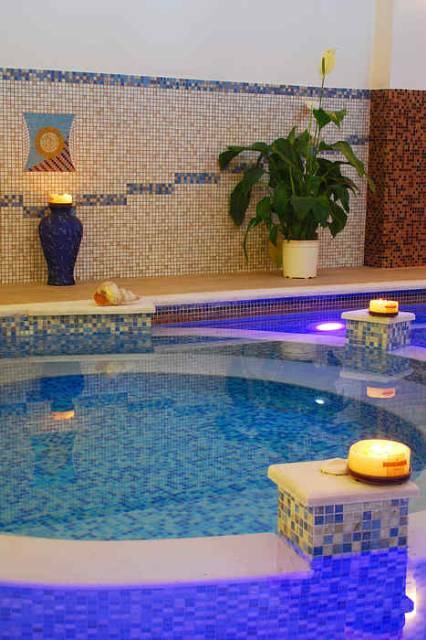 we visited the spa as a couple and had the hydrotherapy, facials, and massages.all as a discounted package. spotlesly clean place, a hideaway in the middle of laganas resort. good priced, and the staff really skilled. 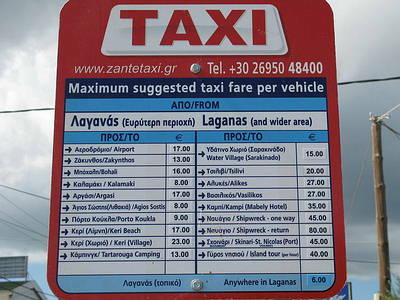 if back in zante, would definately visit again. Were there in July 2014. The lack of commom sense of all employees conducted us to the conclusion that Laganas is a location only for those who seek cheap drinks. The island is BEAUTIFUL, too bad we stayed in Laganas. Bad luck to stay at "Majestic" ... 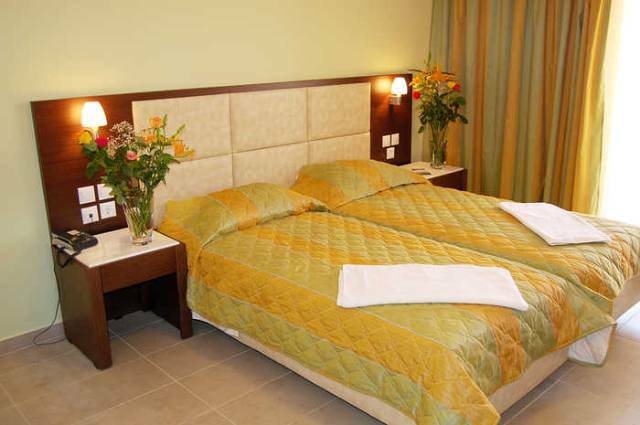 This is at least a two stars inn, far cry from a four star hotel (which they pretend to be). Bathrooms were dirty had to change rooms! Wine tastes like vinger cocktails were just fruit juice the food was ok ! I would put this hotel at a 3 star just ! The maids were shouting to each other every morning about 8 am plus noisy throughout the night with people coming in . There was a alarm that kept going off in the hotel throughout the day and night ! You would have to pay ME to stay there again plus beds and pillows better off sleeping on the floor it was softer !!! 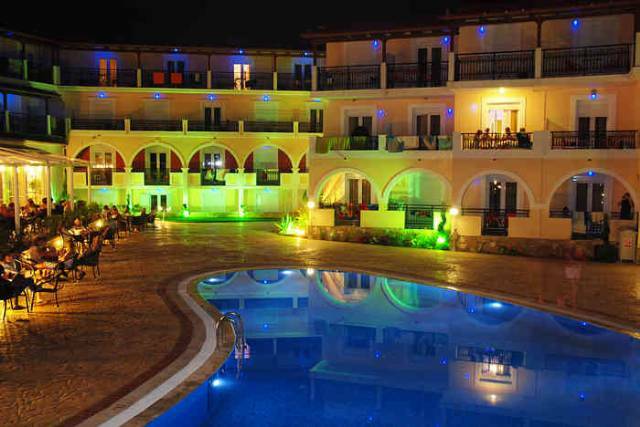 guys av not been to zante yet but me and 3 of my friends are going to the majestic spa on the 14th of july we were wondering how the bedrooms are set out as we are in a 4 room if anyone knows let me know please ? went to this hotel for a week in june 2010. hotel was clean, sheets and towells were changed everyday and maid even left extra towels when asked. security guards were a pain like but fair do's there were families there too. 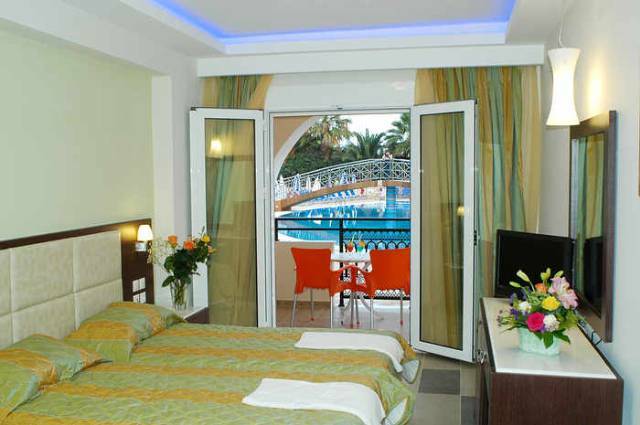 perfect place to stay for those wanting to party on the strip + fishbowl 1 euro drinks sorted! The area was amazing but the hotel was awful. The stuiff was rude and there was a luck of employers.Room was not cleaned and especially the sheets were dirty from the first day of our accomodation. The water was salty and freezing. The pool was also awful,dirty and green. To use the air condition and the safe we have to pay extra money . Thank u but we will never come again to this place!!!! 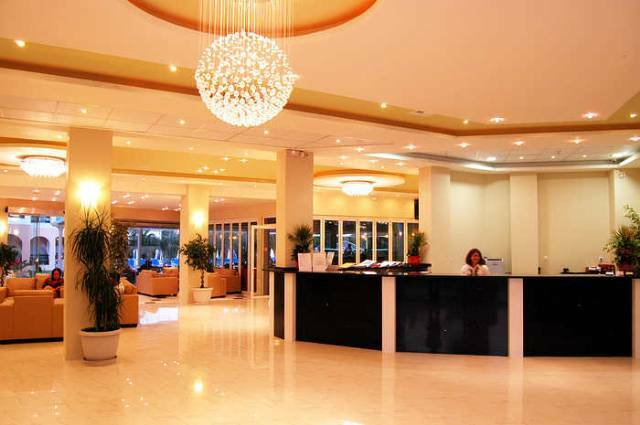 hey im wanting to stay in hotel victoria hotel this year and i need to know how to book this hotel, can anyone help me?? which company do i book thru?? Me and 2 of my mates stayed here from august 20th - 4th sept, when first arrived we were suprised as it was a lovely hotel and we had built ourselves up to be expecting a dump, clean hotel, nice interior. our rooms were very basic but we weren't expecting the hilton or anything.. just somewhere to kip after a mad night out. The bathroom was hilarious, the bath/shower combo was alright when gettin used to it. We had ants but our second day the maid sprayed some spray and that seemed to be the end of them, we bought some just in case though. I would definitely reccomend getting air-con, although we didn't, we wish we did.. it gets awfully hot esp. when theres three girls drying and straightening their hair pretty much at the same time. Staff were sound, especially kelly from behind the bar (who we never got to say bye to ). Had a couple of run-ins with the security guard, bet he was glad to see the back of us!! anyways yeah, the hotel.. the BEST location for those wanting to be extremely accessible to the strip, you are right on it, but you cant hear all the noise if youre wanting an early night! whoah essay or what, will go but yeah would recommend!! Oh and if you do go here and you're not put in the main bloack (where the reception is, and youre not happy with the room then ask to be moved, the rooms are better.. which we later found out!! Was at Laganas from 6th Aug-13th Aug, didnt stay at this hotel but got to know a few lads who did. Had an amazing week with them so if your reading this try n get in touch. yeah ok the location was amazin and slightly set back from the main strip so noise was kept to a minimum when we finally decided to retire but by then all the music had stopped anyway! i was given fake money from the hotel reception when changing my travellers cheques (didnt even check our passports when changing them!) the thomas cook reps were a great help tho!!!!! and many of the reception staff pretend not to speak english. the pool was beautiful, just a shame it made my hair green and discoloured all our bikinis! yea ok the security guards made us feel safer but it gets well annoyin wen all u hear is "sssshhhhhhhh" wen u havn't even said anythin! ur sheets get changed once a week apparantli which i wasn't impressed with and sometimes they forget to leave you clean towels! the pool bar guy is a total legend tho and made us giggle a few times, tho i doubt i'l be trying his hangover cure! Victoria hotel is located right on the strip. oppposite is the three lions bar 2 start your night off . the hotel although located on the strip is quiet we couldnt hear any noise from the strip itself . the security men did their up most to quieten the guests down as they came in and made us feel a lot more safe in are rooms as they patrolled the grounds. the hotel itself is set back from the strip and has its own grounds wich many places in laganas dont have. the pool area was reasonably clean and food and drinks were served at the bar all day wich wernt bad. the rooms themselves were basic but all you needed the bathroom wasnt the greatest was hard 2 get used 2 not havin a propa shower but got used 2 it. the maids came in most days early but if they saw u asleep would w8 and come back later, they were very friendly but not the best cleaners iv seen. 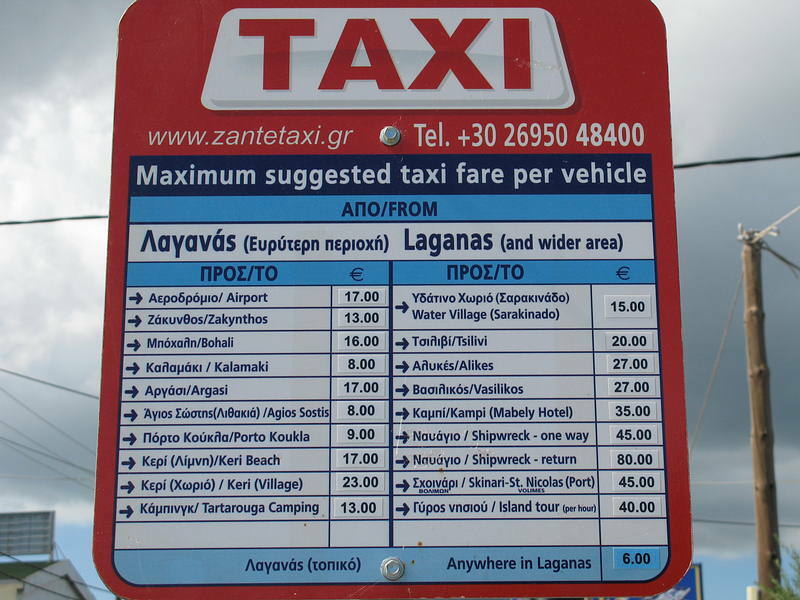 however zante is gr8 i had a wkd hol i wud go bak and recomend it for groups of young girls or boys. just watch out 4 the little kids that sell u wrist bands they rele are thiefs!!!! p.s. preferably any irish boysies out 2 zante the same time as us LET US KNOW!!! Stayed at The Victoria from 7/5 to 14/5 and for the first few days we were the only people in there! Hotel was nice there were a few minor problems at first as the hotel had only opened the day we arrived but they were quickly rectified and the staff are very friendly and approachable. The rooms were lovely and clean but there was a snag, the cleaners were not the quietest people in the world and they started work at 8am so if you had a late one the night before you had to get up no matter what. The location was fantastic and even though the hotel is very close to the main bars on the strip we didnt hear any noise at night at all and opposite the hotel there is a bar called 'The Three Lions' which is a good laugh, really cheap and all the people who work there (Janine, Sophie, Theo, Al and Greg) are an absolute ball and really made are holiday so if you decide to check it out tell them Alex the mad scouser says hello! well, where can i start, me n 3 of my best mates went to victoria hotel from 4th aug 05 - 11th aug. what a fantastic time we had! there was never a dull moment! i recommend this hotel for groups of girlies or lads lukin for a continuous hangover! the location was amazing! ur on the strip, n we had a view of the ghetto club from our room lol!! the people out there r so friendly but the security told us off a couple of times for being too loud! but o well... was all part of the fun! staff at the pool bar were prob the nicest people at the hotel. rooms were basic but were good 4 wot we needed which was a max of 1 hours sleep a night! we didn't spend any time in the room. the shower was a bit of a shock though...well mine wasn't compared to my ova mates 1! they had a tray to stand in lol....but u get the floor soaked even if u try not to! my advice is to go to rescue for a mix of music and cherry bay if u like cheesy stuff. i can guarentee u that you'll get dragged into evri bar!! - but how else r u gonna get hammered?!?! dnt nearly break ur leg like i did coz ur mates cause a big seen at the pool bar! make friends with the bar staff to get even mur free drink!! - if u go on this holiday u'll never look back! Visit September 2005. Hotel is in desperate need of some TLC. The staff were friendly enough, the location excellant, but you really wouldn't want to spend any length of time at this Hotel. It really was quite grim in places! They also charged for everything which is a real rip off, you could easily spend over a 100 euro's just checking in, for Fridge, Air con, Safe (must have) etc. Would go back to Laganas but not to the Hotel. Stayed at the Victoria between the 1st Sep to the 7th. Before we got to our rooms, we spent 60 euros on a fridge safety deposit, and air conditioning! Be prepared! The rooms were standard, a bit grubby. The pool is at the back of the hotel unlike other hotels on the strip which is a good thing. And if you did want an early night you cant hear the noise from the strip!! I went with my boyfriend, wouldnt recommend the hotel for couples, there were loads of groups of boys/girls. The nightlife is good but be prepared to be dragged in to ALL the bars and clubs cos you get hassled by the promoters. Good excuse we found was that we was going to eat and will be back later if you didnt like the bars they were promoting. Also lots of men try and sell you cds/dvds on the beach and at the pool, and children at night wont leave you alone if you dont buy a rose/hat/glow band or whatever else. The clubs were good, i LOVED waikki!! The best club on the whole of the strip for RnB n Hip Hop. And G spot was a good bar to go to before. Overall the holiday was good, and would consider going again, its not all bad, but just warning you of the things to look out for. Wish i was still there!!! Well, back in Leeds and gutted. Had a fantastic time though. Hotel was great, central to everything. Finally met Joanne and Katie great lasses from Durham, although Erin had to return home after a week so unfortunately never got to meet her. We met a great group of blokes from Winsford - Hi, Becko, mappin, ducky, lee, karl, brownie, and evansy (who is totally and utterly in love with joanne!) Had a couple of great nites out with them - Although a few of them did majorly CROSS THE LINE!!! Did anyone rent a bike from Dennis Dennis at the top of the strip??? We were intrigued by him, but unfortunately didn't get to meet the lovely bloke. Katie (from Durham) has a secret crush on Dennis, she told me! Emma on the other hand, took a slight fancy to the Albanian waiter from Country (who likes to make love to girls on balcony's 5 times in a total of 4 hours). And as for Joanne, she's a bit loved up with Evansy - don't blame her tho, he's the sweetest, a one off i'd say. Well, unfortunately i didn't fall in love, a bit of a thing occured with Lee (from Winsford), but that was just a one night fling. Bless him. He crossed the line too - but we won't go into that. Ha ha!!! Laganas Report: 21-29 August 2005: Mr & Mrs B, both age 47, riding shotgun on daughters holiday with friend. Both age 17. Arrivals: Small airport, passenger luggage slow to emerge on carrousel. Six large cartons of condoms remained uncollected; ominous. Transfer and check-in to Hotel Victoria on main strip, smooth. First impressions a bit grim. Hotel Victoria: gloomy brown interiors, polystyrene ceiling tiles. Room functional, beds OK, balcony overlooking adjacent balconies. En-suite toilet clean, shower smaller than it looked. Rooms cleaned, towels/bed linen changed daily. Fridge, TV and air conditioning available for an extra charge. Hotel breakfast: basic. Hotel reasonably quiet at night. Noisy surroundings into the early hours; complete football chant ending with �Chelsea up yours�. Weather: Very good. Hot, sunny, cooling breeze off the sea. Pool culture: Pleasant. Hotel Pool smaller than it looked in the brochure, but still a good size, grassy pool surround, plenty of sun loungers. OK pool side bar/cafe. Pool people: Young couples, a few old people, a few families, range of groups, scousers (babes), southerners (boys), northerners (writers) geordies (noisy), you know who you are. Beach culture: Pleasant. A long narrow strip of sand at bottom of main strip. Sand dusty and or compacted in places. Plenty of sun loungers. Range of beach side cafes. Sea, calm, clear, warm and shallow. Insect Life: Mosquitoes but no wasps, flies, ants etc to speak of. Itinerant vendors at beach and pool selling CD�s etc an irritation. Club Culture: In your face. Around sixty clubs and bars down the main strip to the beach and along it left and right. Maybe only fifty eight since the Mayor closed down a couple - their Wild Party Night�s apparently got a bit too wild. Daughter and friend report, RnB, House, Hip Hop, Old Sckool, DJ,s, MC�s, foam and cocktails all compulsory into the early hours. Dancing on the bar optional. Large, loud bar crawls, party nights organised by tour reps. Food culture: Tasty. Lots of restaurants, most scrubbed up well in the evening. 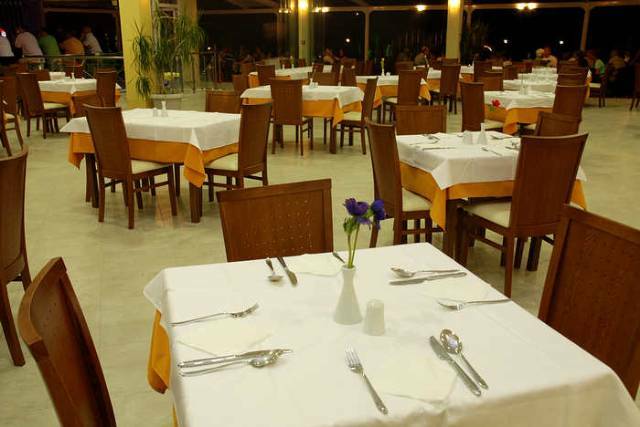 Try Kosta�s Taverna, far end of Kalamaki Road for Greek food, olives, stuffed vine leaves, beef stiffado and Kleftico. Try Med Version, right, along the beach front. Contemporary setting and food, watch the sea colour change over Laganas bay as the sun goes down. Nice as anywhere. McDonalds, Pizza Hut, Kentucky Fried Chicken, English breakfasts readily available on the main strip. Shopping culture: Limited. Plenty of tourist tat of all kinds available, henna tattooing and hair braiding as required, a few expensive boutiques and one bucking bronco. Other places to go on foot: Hit beach turn right. 1K to small island reached by wooden causeway, bar, small hidden cove. Nice as anywhere. 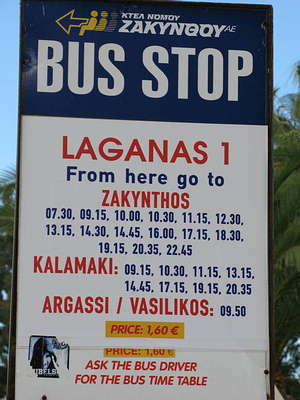 1k further reach Agios Sostis small pleasant resort. Quiet. Hit beach turn left. 2K to Kalamaki beach, past turtle breeding ground. Beach under airport flight path, undeveloped, unpromising. Return to Laganas. Departure: Congested. Airport being redeveloped. Until then expect large and lengthy queues at check-in, well marshalled by the tour reps but still a trial.